George Zimmerman, the neighborhood watch captain who admits he shot unarmed Florida teenager Trayvon Martin, was charged with murder today and has been taken into custody. The charge of second degree murder was announced by Florida special prosecutor Angela Corey at a news conference this evening. If convicted of the charges Zimmerman could face a maximum sentence of life in prison. "We have to have a reasonable certainty of conviction before filing charges," the prosecutor said. A bond hearing will be held Thursday when Zimmerman can apply for bail, she said. Zimmerman arrived at the Seminole County Jail in a motorcade of black SUVs, armed agents with automatic weapons guarding him at about 8:24 p.m. He is currently being held with no bond status. The next step in the process is first appearance, which is to be held at 1:30 p.m. Thursday. At this time, the judge may address his bond status. Zimmerman went into the jail wearing what appeared to be a windbreaker or jacket over his head. He will undergo a medical screening process and then county officials will evaluate whether or not he will go into general population. Mark O'Mara, Zimmerman's new lawyer, said this evening that he intended to seek his release at Thursday's hearing and said that he spoke briefly with Zimmerman. "He's troubled by the fact that the state decided to charge him," O'Mara said. The lawyer also said Zimmerman is scared. "I think anyone who is charged with second degree murder would be scared. Yes, he's frightened," O'Mara said. Zimmerman, 28, a white Hispanic neighborhood watch captain, shot and killed Martin, who was 17 and black, on Feb. 26 after following the teenager for several minutes. Corey opened her news conference by saying that she had spoken with Martin's parents, Sybrina Fulton and Tracy Martin, when she took over the case last month and "we told those sweet parents" that they would get answers. She also worried that the "overwhelming amount of publicity in this case" could complicate efforts to get an impartial jury, adding that there was "so much information on this case that was released that shouldn't have been released." Martin's parents said at a news conference this evening that were grateful that Zimmerman has been arrested. "We simply wanted an arrest," Sybrina Fulton said. "We got it and we say thank you, Lord. Thank you, Jesus." Tracy Martin said, however, "This is just the beginning. We have a long way to go.. and we will march and march and march until the right thing is done." O'Mara said that the case has become emotionally charged and that his client "is concerned about getting a fair trial. We need to calm this down and it needs to be tried in a courtroom." He also said he is worried about Zimmerman's safety. "If he was walking down the street right now he would be at risk," O'Mara said. "I'm hoping we can keep him safe." He added, "He is a client who has a lot of hatred focused on him." The charges are certain to provoke controversy in Sanford, Fla., where the shooting took place, and across the country. Sanford Mayor Jeff Triplett held a news conference this evening to ask for "continued calm in the city of Sanford, surrounding areas and across the nation." Earlier this week, Tripllett said his city has become a "kindling box" due to the high emotions surrounding the case, and that he would "plan for the worst and hope for the best." He also said that he had faith in the Sanford police department although it had declined to arrest Zimmerman after the shooting. The case gained national prominence with rallies across the country demanding that Zimmerman be arrested and charged with murder. Zimmerman and his supporters say that the shooting had nothing to do with race and that he shot Martin in self-defense. The U.S. Justice Department is also carrying out an investigation into the shooting. Attorney General Eric Holder indicate today that the feds will have a higher bar to establish that the shooting was a hate crime. "For a federal hate crime we have to prove the highest standard in the law it is something that was reckless, that was negligent ... We have to show that there was a specific intent to do the crime with the requisite state of mind," Holder said. The city of Sanford has been getting increasingly tense as the decision neared. Six shots were fired into an empty police cruiser earlier this week in the neighborhood where Martin was killed. The New Black Panther Party offered a $10,000 bounty for Zimmerman and his lawyers said Zimmerman had received death threats. The New Socialist Movement, a white supremacy group, said they were going to patrol Sanford to protect whites, and racists comments about the shooting have sprung up on social media sites. Debate over the shooting became so widespread that even President Obama commented, saying if he had a son he would have looked like Trayvon Martin. On his website, Zimmerman released a statement about the shooting this week, calling the incident a "life-altering event." "As a result of the incident and subsequent media coverage, I have been forced to leave my home, my school, my employer, my family and ultimately my entire life," he wrote. In a written statement to police on the night of the shooting, Zimmerman said that he'd called 911 to report a suspicious man and that as he returned to his car, Martin attacked him. Zimmerman said that Martin punched him in the nose and knocked him down, slammed his head on the ground and tried to take his gun. The police report noted that Zimmerman was bleeding from the back of the head and nose. His lawyer said later that Zimmerman suffered a broken nose. 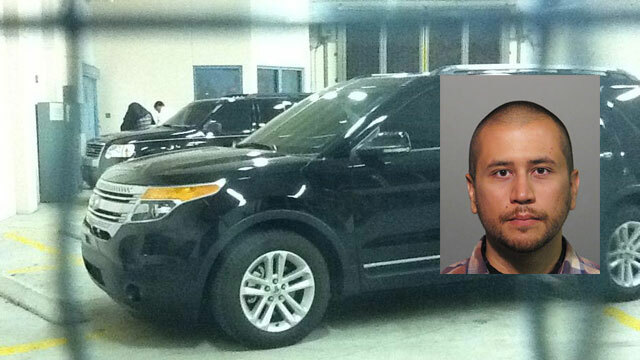 After Zimmerman received medical attention, it was decided that he was in good enough condition to travel in a police cruiser to the Sanford police station for questioning. He was not arrested.